Cyberset Medical is a team of highly inquisitive and proactive marketing, social media, software engineering, design, and content creation specialists who are committed to an interdisciplinary approach to our work. We have combined our skills and knowledge from a variety of fields to craft customized, workable solutions to the evolving challenges of online and digital marketing for plastic surgery practices. 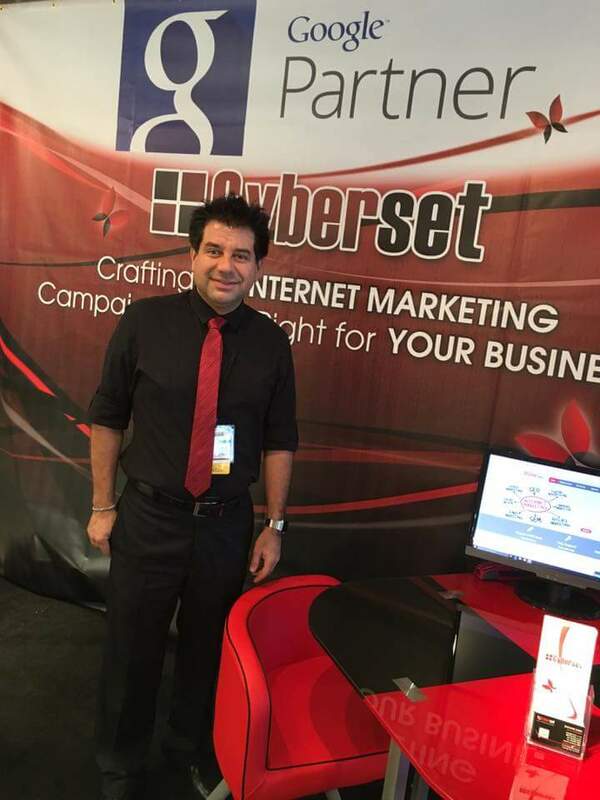 Cyberset Medical has over 9 years of experience in digital marketing. We have extended experience in understanding unique needs of medical practices. We have worked with plastic surgeons, bariatric surgeons, orthopedic and spine surgeons, OBGYN specialists and fertility centers as well as other physicians. We have run successful campaigns for personal medical practices as well as multi location surgery centers. "Cyberset Medical handles nearly all of my online needs. It's a complete campaign. Pretty much everyone understands that online marketing makes any business grow. It's about getting the right online marketer with the right experience, with the right team with the right research that goes into making a successful online marketing campaign." This is the key to our success, as we are in a field that rapidly changes and in order to thrive you need to keep your self up to date with all technology improvements, be agile and welcoming change. My team here at Cyberset medical consists of the professionals who are best at their field, have great command of their expertise and know how to apply their knowledge to business challenges. This is a winner team, one that can keep up with the pace of change in our industry. By the way we are hiring. If you are an expert in any of the fields related to our services, willing to learn more and grow with a successful team. If your are confident of your skills and willing to take this challenge as we have a high standard of quality, please apply. We'd be glad to have a conversation. Comprehensive digital medical marketing uses all tools available to help a medical practice's digital marketing. We use SEO, Social Media, Email Marketing, mobile and local citations along with reputation management to generate the most revenue from online marketing. We have customized the techniques of search engine optimization (SEO) to specific needs of medical businesses. We keep our techniques and processes up to date with the latest changes of search engine algorithms. So you'll always stay ahead of competition. Medical businesses have unique needs in terms of social media marketing and selections of social networks, type of shared content and audience targeting can be complicated. Our team of expert social media marketing specialists customize all your campaigns according to the unique requirements of your medical practice to drive the highest return. PPC Advertising is one of the trickiest ways of online marketing as it's very easy to waste money on irrelevant targets and bring down the ROI. Our Google certified PPC marketers make sure all the quality metrics required of Google partners are followed, and campaigns are optimized to have the most ROI. Most of the medical marketing cases that we have analyzed here at Cyberset Medical suffered from not being able to determine how effective their digital marketing was, which marketing channel was performing the best and where the bottlenecks were. Cyberset Medical’s advanced tracking has a feature that allows us to understand how many leads were generated from each marketing channel (SEO, Social Media, Pay-per-Click …) and what was the ROI of each channel. This way, our team over at Cyberset Medical can work with you to help you make the best decisions on allocating your marketing budget to maximize return and optimize your campaign in order to have the best possible benefit. With a comprehensive study we'll determine ideal audience for business and marketing goals. We will determine the best and most efficient ways to target your ideal audience. We will analyze your competitors in an effort to figure out what techniques they are using to make sure you don't fall behind from any competitor. We'll establish tangible goals and make proper settings to measure them accurately. We'll lay out a carefully studied plan to achieve your desired goals. Based on the defined goals and the determined plan of action we'll implement our strategy via specified tools and ways to target your ideal audience. We'll work on improving the performance of your website to improve the ratio it can convert interested visitors into leads and patients. We track visitor activity on your website and how they turn into patients. We use goal conversion tracking data to measure success rate of each marketing avenue and campaign. We calculate your return on marketing investment in each avenue and revise and optimize our efforts according to the intelligence gathered from these ROI reports. We gather reports of visitor activity on website and your online presence. We generate reports of goal conversions in order to evaluate viability of each campaign. We regularly measure our progress in achieving goals and evaluate our process and make necessary changes in order to improve our marketing campaigns' efficiency.